Winter is here, along with snow, if you’re lucky (at least that’s how I see it). It very rarely snows here in Houston. When it does, it’s a really big deal! We make tiny snowmen out of any small dusting we get, and the kids try their hands at snowball fights. When our weather is more normal, we love to pretend that we have snow. Local festivals here hire snow machines to make a small patch for kids to play in. We also like to create snow themed activities to get us in the wintry mood! 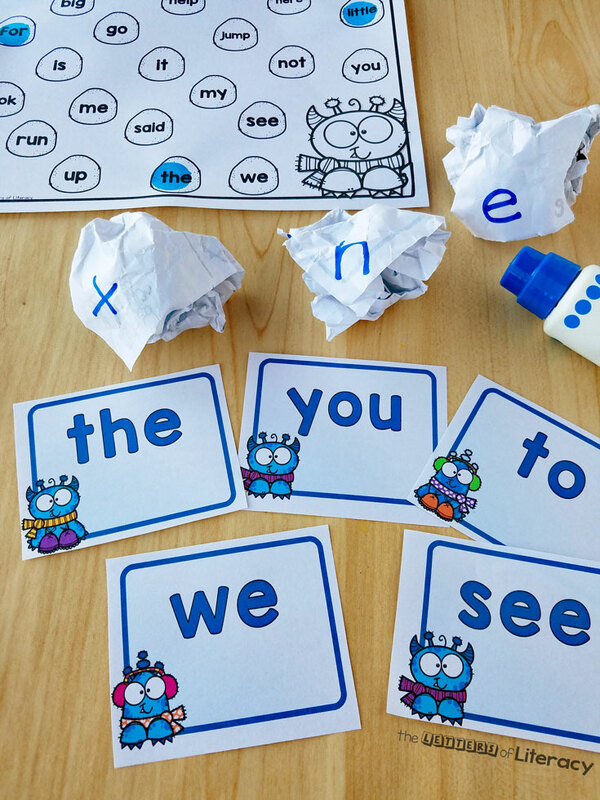 This Snowball Sight Word Activity gets kids up and moving! 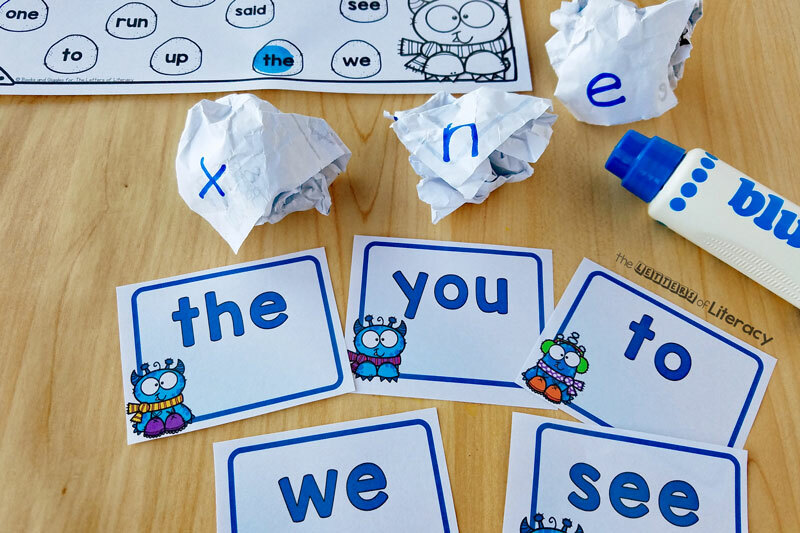 It’s one of our favorite sight word activities. *Pair this with our Winter Centers and Activities for Pre-K/Kindergarten! 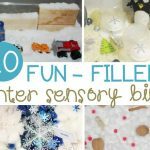 When your little have cabin fever this winter, you can bring the “snow” indoors. 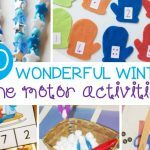 This snowball sight word activity allows for plenty of movement to get the wiggles out. 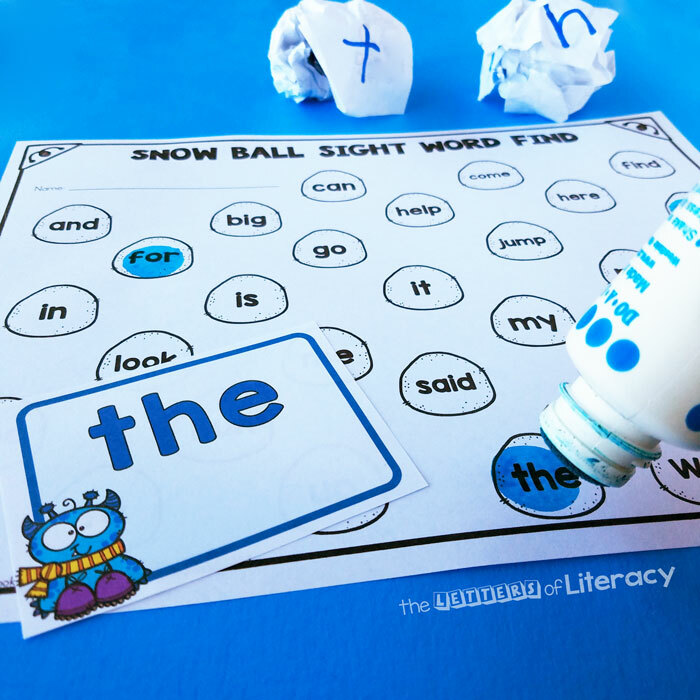 Kids can build sight words out of paper “snowballs” with letters on them. 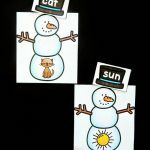 I’ve made you a cute set of 27 winter-themed pre-primer sight word cards, plus a matching “snowball” recording sheet. 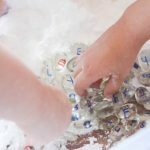 Paper for “snowballs” – raid the recycling bin! 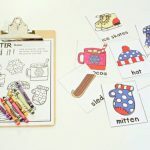 Choose the sight words you want to work on. Write the letters of those words on the corners of separate sheets of paper. Then crumple each sheet into a “snowball” making sure that the letters still show on the outside. Place the “snowballs” around the room if you have space. Alternatively, put them all together in a bin or on a large tray. 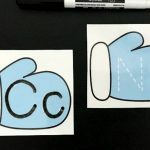 The child should choose a sight word card and read it. Then, s/he should search through the snowballs and pick up all the letters in that word. Next, the student finds the matching sight word on the recording sheet, reads it again, and then marks it off with the dot marker or crayon. You can bring the energy level up another notch by having students toss each snowball at a target, spelling out the words as they go. 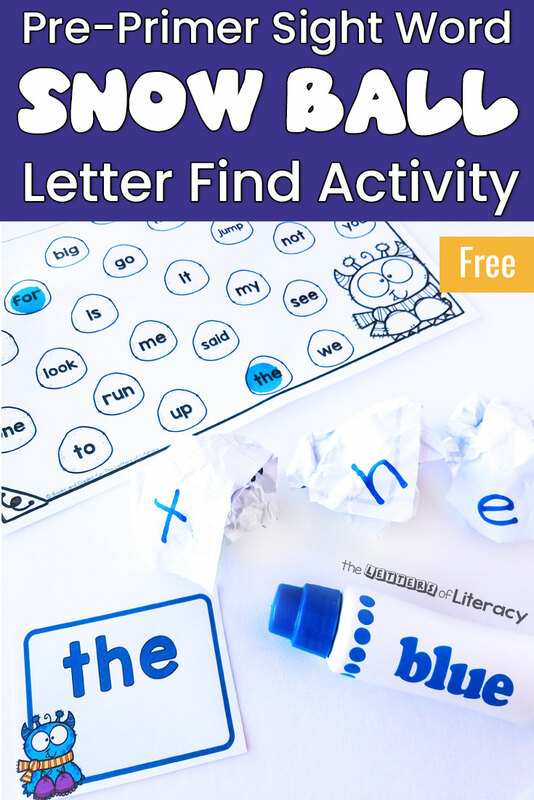 Match uppercase letters with lowercase letter snowballs. Match picture cards with initial sounds on the snowballs. 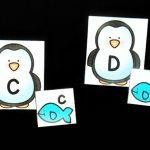 Use other flashcards for more difficult sight words. You can make snowballs from inexpensive ping pong balls instead of crumpled paper. We’re wishing for some real snow here this winter, but I won’t get my hopes up. If only you could make a snowman out of crumpled paper! 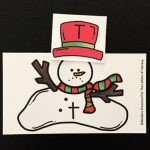 Are you ready to grab your FREE Snowball Sight Word Activity? Then simply click on the large, blue button below! 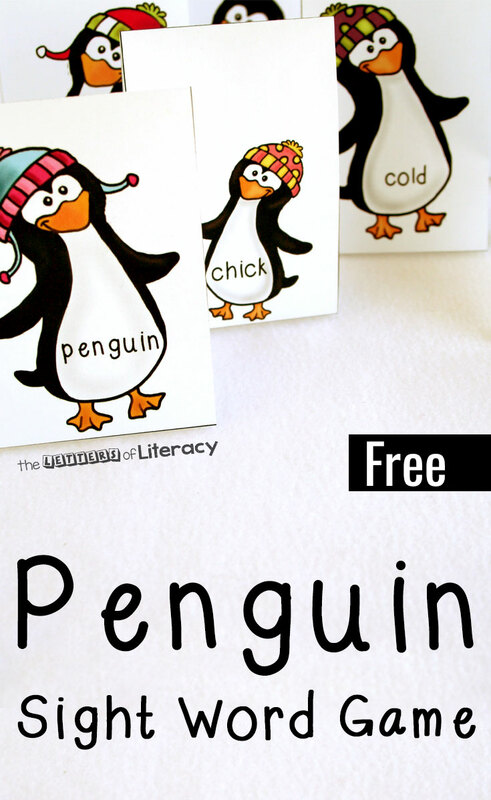 Then, hop on over to see our Penguin Sight Word Game!